One of the selling points of hardwood is that it lasts a lifetime. Other flooring options, such as carpet, will be cheaper per square foot but only last 3-5 years. Once they’re ruined -they’re ruined. Hardwood on the other hand, can be sanded and refinished and come out looking great. 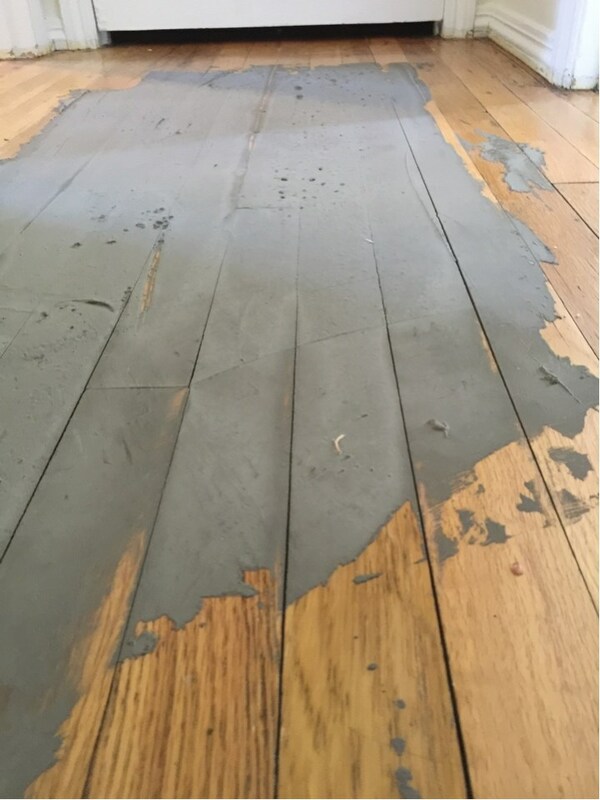 The finish was worn off and the hardwood was past it’s prime. After years of use, your floors may end up looking like this: gaps, cracks, and a worn finish. Some sections even had cement that was poured over the top of it! The previous owners wanted to lay carpet over the hardwood, and figured cement would be a good way to level the floor. It was so satisfying to clean this off. Its a good thing we can fix that! We used a bit of love, sanding, wood filler, satin finish and elbow grease to restore this floor to its former glory. Let’s keep the cement on the driveway next time. 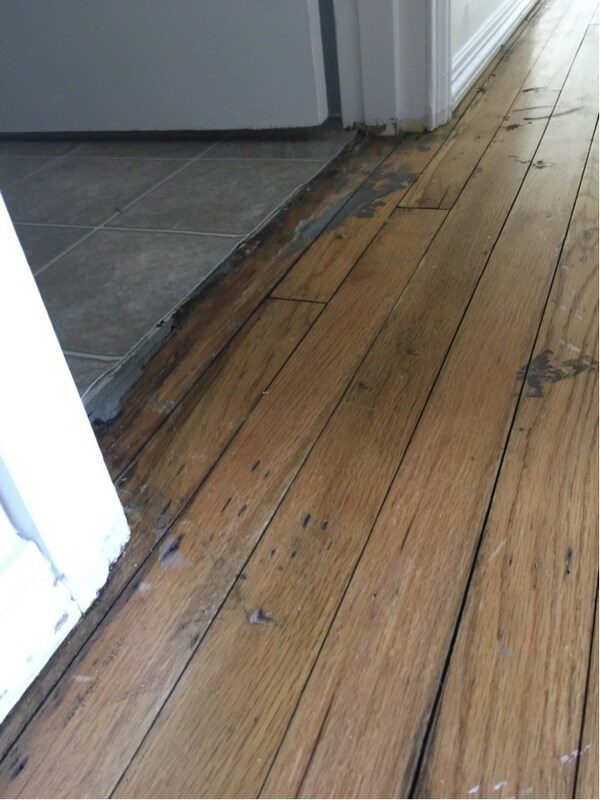 Hopefully you won’t let your floors get this bad before refinishing. 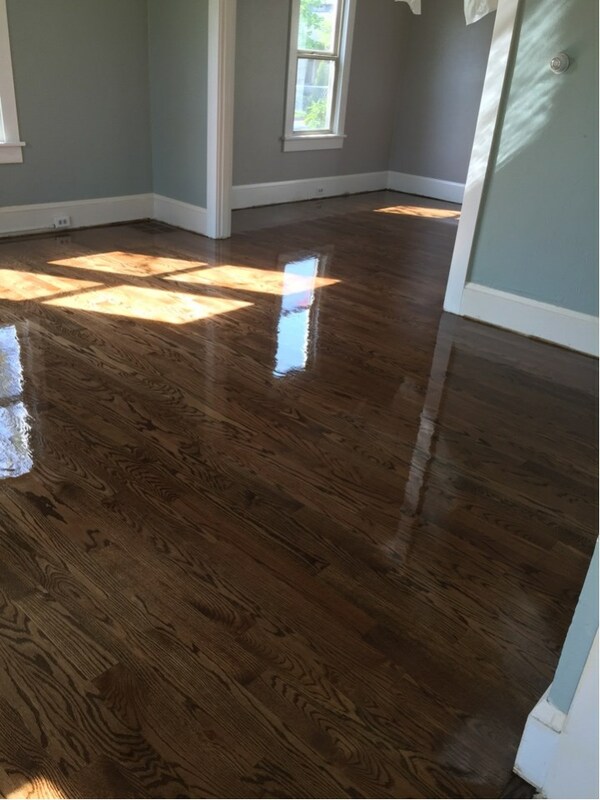 Take a look at our hardwood maintenance guide for tips on how to keep your floors looking new.